Most of the UC campuses have become more selective – and unpredictable – with regard to admission. Today’s article in Inside Higher Education details the problem. Our solution is to help our clients be prepared with a balanced college list. 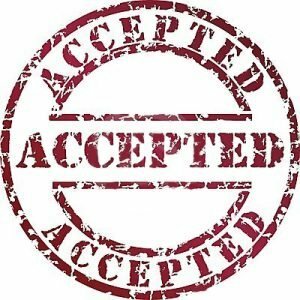 Do you have a senior who has been wait-listed at a college? Here’s a post with what you need to know. Read about how many colleges have changed how they read applications, which has caused some frustration in applicant-land, and among parents. Georgia Tech Admissions Director Rick Clark vents about some of the requests and phone calls he receives each spring. Here’s his post: “That’s Not How This Works.” Note to 10th/11th graders: know what annoys college admissions directors! Parents of sophomores and juniors, here are a few blog posts to help you get started on your college search. Our best advice (see the Inside Higher Ed article above!) is that you need to create a balanced list that reaches beyond the “names you know.” With students applying to more colleges than before, and admit rates lower, the names you know are most likely to be in the ‘reach’ category. You can reduce heartache by ensuring that your child applies to a broad list of colleges – and really likes each one of them. Visiting Colleges Over Spring Break? You might want to use our campus visit packet, downloadable below. Also – when you visit – students (not parents!) should register online for tours, and check in when you arrive in the Admission office. Some colleges consider whether or not you have visited to be a sign that you are interested in them, and this may factor into their decision! National College Fairs are Coming! The National Association for College Admission Counseling hosts large annual college fairs around the country. Most of these are held in March and April. Here’s where you can find more information about the college fair near you. And here’s our blog post to help you prepare for these large college fairs, which can be a bit overwhelming. Our team is currently taking on juniors, the Class of 2019, and sophomores, the Class of 2020. Contact us to schedule a free introductory conference call, or to set up an in-person consultation. What’s my GPA for College Admissions?